I'm a 43 year old solo female traveler with an elderly quiet Jack Russell Terrier. 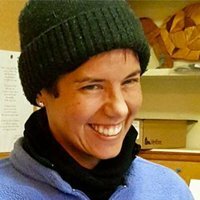 I'm currently (as of July 2016) a little over a year into full-time RV'ing. Back in 2014, I decided one day to throw in the towel on a life I did not like. I closed my business, sold my house, and bought an RV that I renovated. In 2015 I took a trip from Arkansas to Michigan, up through Canada, to Alaska and back to the lower 48. I ended up hanging out workamping on the coast of Washington in a very rural area for quite a while. I'm heading back out at the beginning of August 2016 to do some more random wandering. I'm a very quiet guest and you probably won't even know I'm there. I pick up after my puppy and make sure that I tote out all trash. I run on solar and never use my generator. If you don't mind me hanging out at your place for a bit, I'd love to get to know you guys and your area. If it is broken, I'll figure out how to fix it. Anywhere along the road in the Yukon Territory and Alaska. 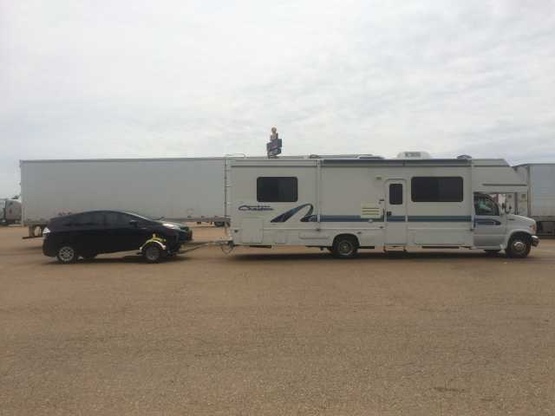 31' Class C plus tow dolly with a Prius that I can unhook and relocate elsewhere. Shannon is a very outgoing person. She is well traveled and shared her travel stories with us. She is very pleasant to visit with. Shannon was bubbly and fun. She is totally self contained, but happy to socialize. We had other guests here and so we didn't get to know her as much as we would have liked. She pitched right in and fixed our neighbor's RV refrigerator. Handy gal to have around. Shannon stayed a few days with us recently, and she was a pleasure to host. She and her dogs are quiet and quite able to take care of themselves. We visited about her travels and all in all had a very pleasant time. Recently hosted Shannon at my home. She was respectful and helpful. Left the site in great condition. She and her pets were quiet and great guest/s. Shannon was a wonderful guest and would be welcome here anytime. We hosted Shannon for a few days recently. When she says she can fix something, she can. 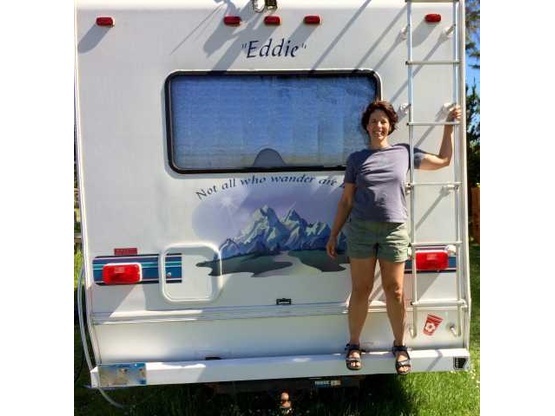 She has repaired and renovated her RV to be her home on wheels. Pleasant personality, clean, quiet and neat, informed and informative traveler. She also shares personal gifts and will help with weeding. You should see her maneuver her RV. A self-starter and a very capable person. She is the perfect guest.